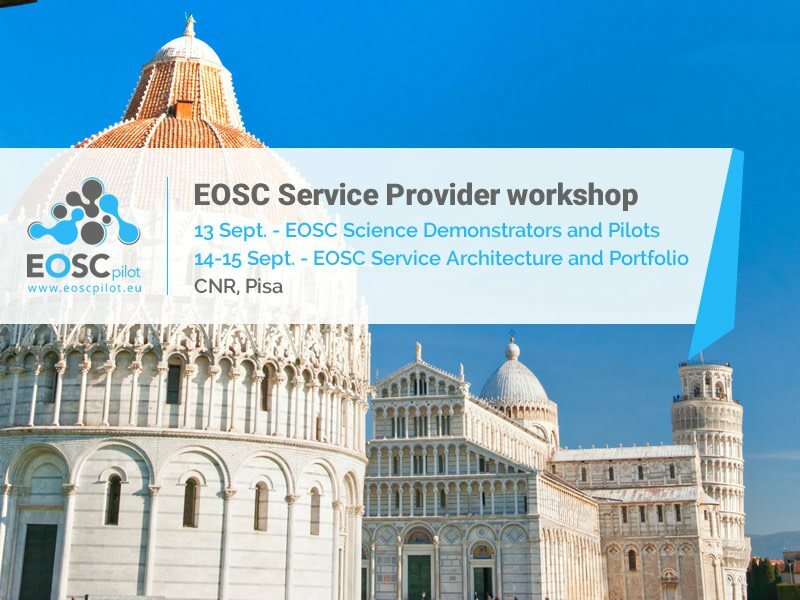 This event is the first Service Provider Workshops of EOSCpilot. It is designed to bring together Science Demonstrators and Service/Resource Providers as well as partners from the Service Pilots and Interoperability tasks to facilitate requirements gathering for EOSCpilot and enable successful delivery to the Science Demonstrators and provide input to EOSC as a whole. Science contacts and shepherds from the new Second Round Science Demonstrators are expected to attend, where it is expected that the event will aid the successful provisioning of service pilots for all new demonstrators and potential problems can be discussed and resolved. For the First Round Science Demonstrators, representation by a shepherd is sufficient." Access to this meeting is by invitation only. The event is designed to give an essential overview of the status of EOSC architecture and to collect feedback and requirements that will be used to refine the result of work done so far and to progress. It will also to ignite further discussion with EOSC service providers about the EOSC service portfolio management: EOSC portfolio classification and discussion of portfolio governance and SPM needs in EOSC.